We hope that you were able to get the chance to go outside and enjoy the incredible summer sun in the past few months. There are lots of reasons that the summer is particularly special, but it can be tough to stay hydrated under the blazing sun, especially when taking something like phentermine. Many have reported that the most common side effect of using phentermine is having a dry mouth, which is known medically as xerostomia. The problem only gets worse when coupled with the natural dehydrating effects of summer. Even if you aren’t suffering from dry mouth, staying hydrated is an important part of staying healthy and losing weight! Today we’ll be taking a closer look at dry mouth, why you should stay hydrated when losing weight, and offer some ideas on how to stay hydrated and minimize the risk of dry mouth while using phentermine. 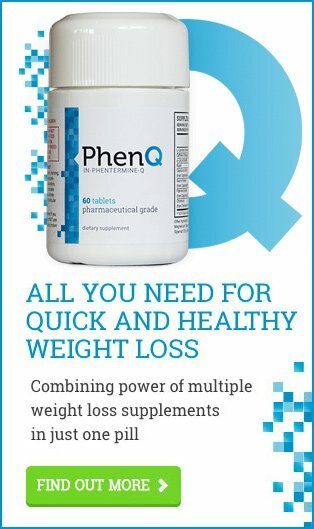 There can be no doubt that phentermine is truly effective for losing weight, but many users are stuck with dry mouth, lips, tongue, or throat while they take the medication – particularly if they are new to using phentermine for weight loss. The side effects surrounding dehydration are primarily caused by a decrease in saliva production. They are made worse by a lack of proper fluid intake. Perhaps the best treatment for having a dry mouth is to sip some water, but given that it’s not just thirst that is making your mouth dry and uncomfortable, most people find they need a little more than to just drink some water. If you suffer from dry mouth over an extended period of time, then it’s important to pay special attention to oral health. Dental problems such as cavities can be made worse with a dry mouth. It’s important that you regularly visit a dentist and take care of your teeth. You should also talk to your doctor about your dry mouth problems if it persists for days or weeks at a time. Even if you aren’t dealing with dry mouth problems, there are plenty of health benefits for staying hydrated, especially when it comes to losing weight! The human body is over 60% water after all, and so it is able to react to even the smallest changes in hydration levels. The most popular recommendation is to get 8-12 cups of water a day through food and drink, but the specific amount of water that someone needs depends on several factors. That includes climate, activity levels, size, and more. The need to drink water and stay hydrated increases during the summer and in hotter climates. Exercising more also increases the need to stay hydrated, as more water is needed to replace fluids lost through sweating. Bigger people – both taller people as well as heavier people – require more water because they have more tissue to keep hydrated. Some of the members in our support groups report that, when they were taking phentermine, they were drinking up-to, and sometimes over, 16 glasses of water a day just to deal with dry mouth problems. The best way to understand your needs is to monitor urine color, as that is one of the best indicators for hydration. You should be drinking – and eating – enough fluids to be able to excrete light yellow urine and keep your thirst quenched. Perhaps the most important, not to mention well-documented, benefits of staying hydrated is that it reduces how many calories you eat. Much like food, water is able to fill the stomach up. Drinking more water can help you to eat less by making you feel fuller faster. This is particularly beneficial when trying to lose weight as water is calorie-free, which is more than can be said for food! On top of this, studies have shown that the body often gets hunger and thirst confused. We can be tempted to pick up a snack when what the body actually wants is a cool glass of water. Staying hydrated like this also helps you to better recognize when you’re actually hungry and when your body is sending mixed signals due to tiredness or dehydration. Finally, the most recent research has discovered a link between being properly hydrated and having a healthy body weight. Subjects that have a BMI that puts them in the overweight/obese range are more likely to be dehydrated than those with healthy BMI levels. That emphasizes the importance of developing and maintaining healthy hydration habits in the long-term, and paying attention to hydration levels during the entire phentermine journey. Another important role water plays in the body is that of flushing toxins out of the kidneys and keeping them healthy. This job can be particularly important when taking medications such as phentermine, which you are going to want to flush from your system regularly. The kidneys eliminate waste from the body through urine. However, there is only so much waste that the kidneys are able to dispose of per volume of fluid. That’s why you need to give them all the water they need when trying to eliminate toxins and waste. The blood should also have a certain level of thickness – known as osmolality – and volume. Hormones can signal the kidneys, telling them to produce more or less urine based on how thick it is. Have you ever noticed that you pee more when you are properly hydrated compared to being dehydrated? This is because the kidneys are always working to ensure blood stays at the right thickness levels. They will hold onto fluids more if you aren’t getting enough to drink. In both terms of balancing fluids and managing waste, your body has to work harder without enough water. Staying hydrated helps to decrease the stress placed on kidneys, which ensures they work better for longer. Skin requires moisture in order to stay healthy. Regularly drinking water is the best way to keep skin happy, healthy, and glowing. A common concern phentermine users have is the loose skin that can form following rapid weight loss. Drinking water can also help with this. Your skin is around 30% water, so drinking more water helps to increase skin tightness, density, and elasticity. While you might not notice the difference if you’re already getting enough water, proper levels of hydration can make a big difference to skin health if you’re feeling dehydrated. Now you know more about all the health benefits of drinking water, you’ll hopefully reach for something more refreshing to drink! Having an ice-cold glass of water on a hot day is best, but sometimes you can have trouble getting all the hydration you need when you’re drinking just plain old water. The good news is that there are lots of options available. You just have to know what to look for. The most hydrating beverages are those low in calories with no caffeine. As a diuretic, caffeine actually makes you more dehydrated! Low-to-no calorie drinking options are important as liquid calories can quickly add up if you drink a lot. Given all the work you’re putting into losing weight, you want to avoid as many empty calories as possible! Last updated: October 3rd, 2018. Bookmark the permalink. Do Phentermine Weight Loss Pills Affect Your Libido? Should I Take Phentermine Before or After Breakfast?